WOW – Women of the World is coming to Cardiff between the 23rd and 25th of November 2018, organised in partnership with Chapter Arts Centre and London’s Southbank Centre. 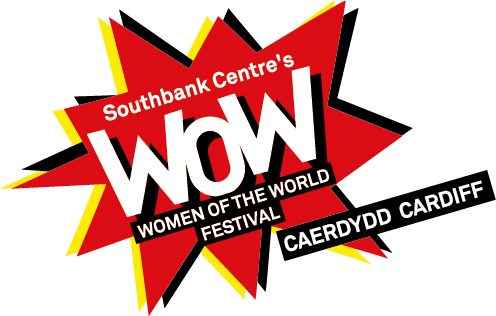 The WOW – Women of the World festival, founded in 2010 by Southbank Centre’s Artistic Director, Jude Kelly CBE, is the biggest gathering of women and girls across the globe, reaching over 1.5 million people in 20 cities across five continents. Each WOW festival, made up of talks, debates, music, activism, comedy, workshops, mentoring, pop ups and performance, celebrates women and girls, takes a frank look at what prevents them from achieving their potential and raises awareness globally among women, men, girls and boys, of the issues they face as well as creating possible solutions. The WOW – Women of the World Cardiff programme includes a range of workshops, talks, debates, performances and art open to the public on 24 & 25 November after a Schools Day on 23 November. WOW – Women of the World Cardiff will feature Gwenno Saunders, Charlotte Church, Michael Sheen, Sian Evans, Lula Mehbratu (The Digital Migrant), Sahar Al-Faifi, Sian James former MP, Gemma Price (Boxing Pretty), Anna Hursey, Shahien Taj OBE, Lucy Owen (BBC Wales) and LayFullStop among others. The full programme is available to download and tickets available to buy from Chapter’s website. The programme has been inspired by a series of ‘Thinkins’ that took place in May which invited women, men, girls and boys from across the city to contribute their ideas about the WOW – Women of the World Cardiff festival. There will be a launch event at Chapter Arts Centre later this month to celebrate the release of the festival programme, inviting everyone who has been involved in the creation of the festival so far. WOW – Women of the World Cardiff 2018 is part of Southbank Centre’s expansion of its global WOW network of festivals to create nine new WOWs in five cities across the UK to mark the centenary of female suffrage in 2018. These nine festivals are being funded by Spirit of 2012.